I decided to challenge myself and experiment with new ways of sketching. Normally I prefer detailed, clean, and precise line work that accurately depicts the subject. However this sneaker, the Avant-garde Air Jordan 1, is all about deconstructing and investigating the boundaries of the beloved Air Jordan 1. 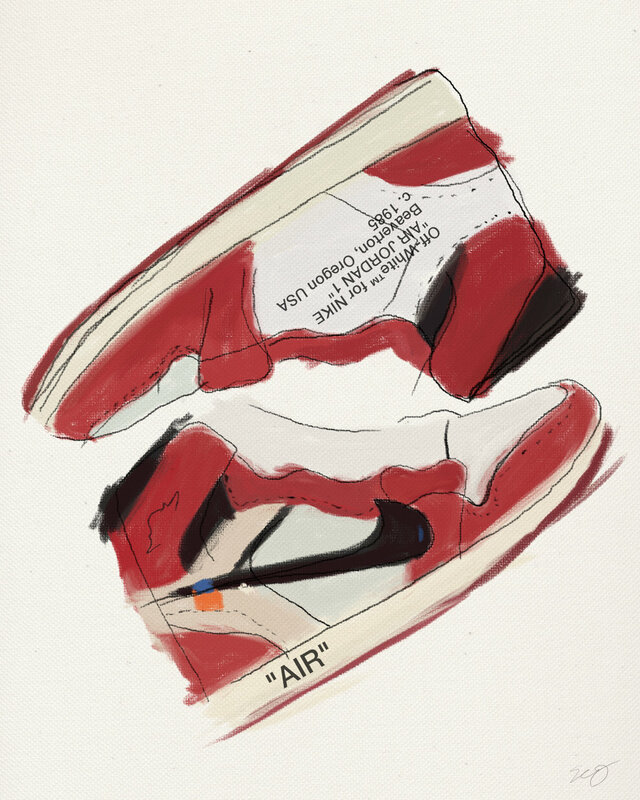 Because of this shoe's nature, it's only right that I too, deconstruct and experiment with the sketching of this sneaker. This was a great exercise because it blends both form and function by removing the excess. I constantly asked myself "Is this too much detail", "Is that part really needed"? I found it pleasing that I could illustrate something with minimal detail and the form/identity will still be recognized. As they say, keep it simple stupid. © 2017 Elijah Justice. All Rights Reserved.